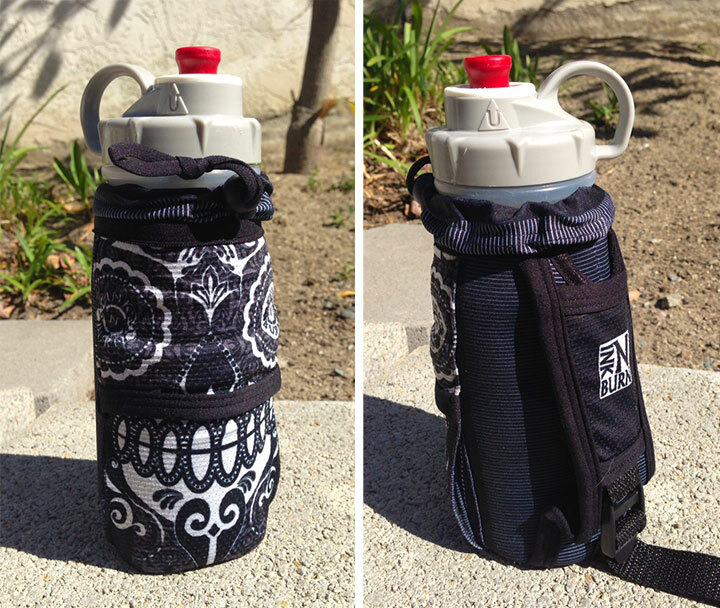 I received a Handheld bottle holder from the lovely folks at INKnBURN a couple of weeks back. The nifty neoprene pouch came in one of my favorite INKnBURN design patterns, the Sugar Skull. I absolutely love it. 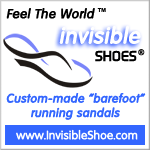 The stretchy neoprene fabric is much softer and more comfortable. I don’t want to go back to the old bottle holder now. This is not something I pictured myself saying, but there it is. 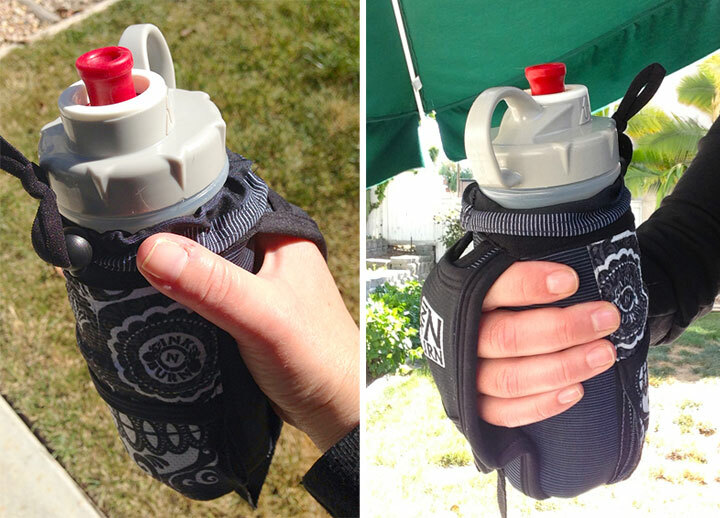 The all-over fabric insulates the bottle: keeps water cool longer without freezing my hand off. Also, it absorbs condensation from the bottle and sweat from my hands, which keeps the bottle from slipping. 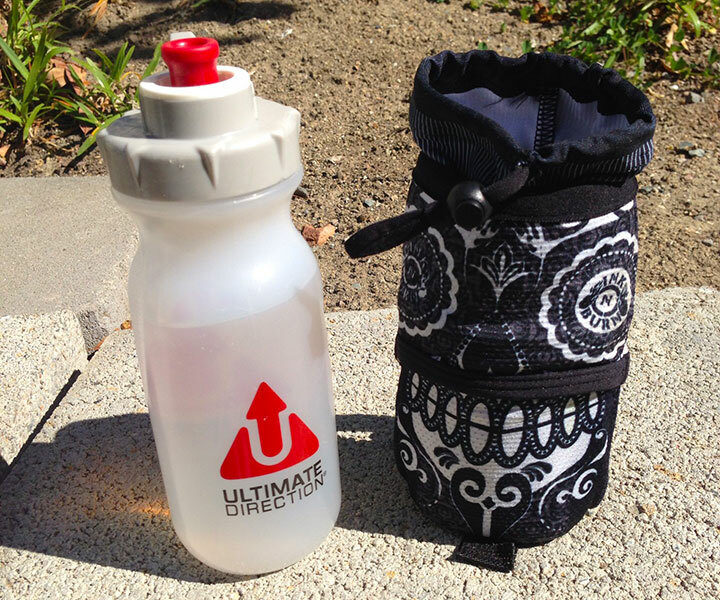 Unlike most other bottle covers, this one is actually easy to put on the bottle and take off. 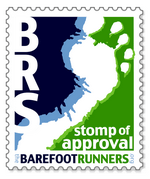 This is useful when you want to wash the bottle but not have a yucky wet cover during your run. It fits just about any bottle, even the large 20 ounce ones. That way you can switch bottles and still use the same holder. The pockets are large and plentiful. The strap has a pocket that will hold gels or a key, and there is a really large foldover pocket on the front that can hold things as large as an iPhone (yup, it’s true!). 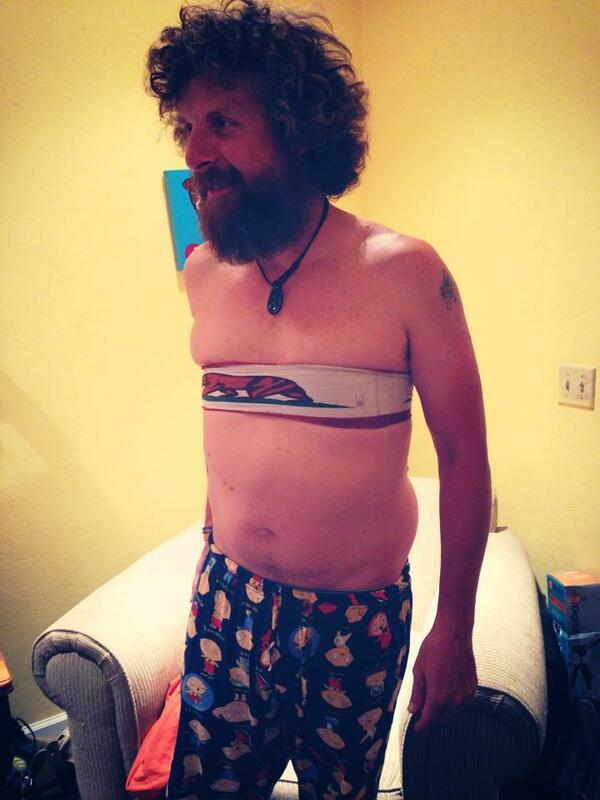 The fabric is super stretchy. I usually use it for tissues and spare cash. Adjustable strap with convenient thumb hole. I don’t typically use it, but I know that a lot of people like the thumb hole in the strap. It’s attractive! You can wear your favorite INKnBURN design on your hand! So much prettier than the plain, always dirty-looking bottle holders that you usually see. Most importantly, I like to ask myself this question before posting my review: After trying this item for free, would I actually buy it? Even at $39.95 a pop, I still would buy this handheld holder. I know what you’re thinking: the price is a tad stiff. But just like anything from INKnBURN, what you get for that price is a top-quality, 100% American Made product, backed by an insanely creative team of real people with a commitment to innovative products, beautiful design and excellent customer service. This is not some cheap crap made in Taiwan by a 12 year old getting paid 75 cents a day: it’s INKnBURN. Know what the “n “ stands for? NOTCRAP. Sorry, I really wanted that joke to work out better. Check out some of the other colorful designs that INKnBURN offers in the handheld holder! Categories: product reviews | Tags: handheld, INKnBURN, iphone, sugar skull, water bottle | Permalink.